POLICE IN St Vincent and the Grenadines are being encouraged to utilize a more sensitive approach when dealing with young people. This call has come from Prime Minister Dr Ralph Gonsalves while speaking at his first press conference for the year, earlier this week. The Prime Minister said that he recently had the opportunity to speak with some youths and he invited the Commissioner and other senior police officers to be a part of the conversation. 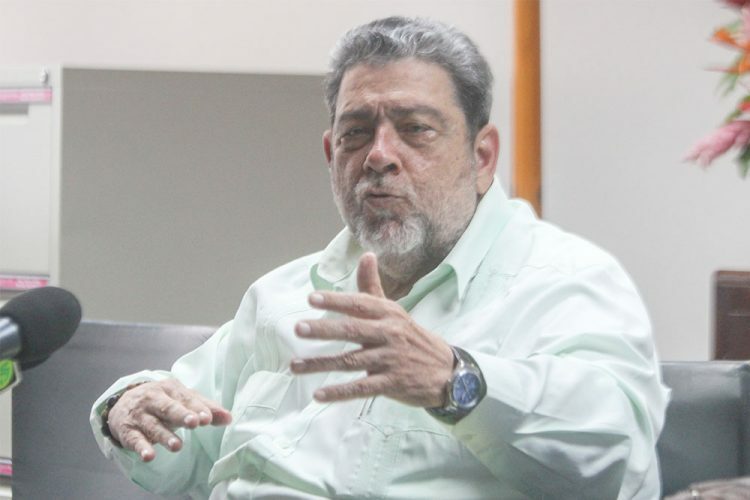 And Gonsalves, who is the minister with responsibility for national security,said that there are some things that came out of that conversation that the police ought to pay attention to. One such issue is that of police officers not returning items that they have confiscated in a prompt manner, once investigations are concluded. “A policeman cannot be a bandit. You can’t take away somebody’s gold chain or bangle and don’t make a proper record of them and if you have reasonable suspicion that they were stolen or unlawfully obtained, they must be returned with promptitude if your reasonable suspicion is not well grounded, if it turns out that that’s not the case,” he said. The prime minister also said that as police, officers should exercise respect and should not go around destroying people’s property. He said that in a small country, everyone has to do his or her best to live in peace and exercise tolerance. And he said that if police don’t function in a sensitive manner in relation to young people, then more problems would arise in addition to those that already exist. The national security minister said that some police officers who “may engage in gratuitous violence” risk undermining positive initiatives by the police force such as the Pan Against Crime and Police Youth Club programmes. “If you meet hardened criminals, you have to know how to deal with them, but I’m calling for good sense, especially also in light of when persons are going to be allowed under the law to have up to two ounces of cannabis, there’ll be a fine, but not a criminal record; that the tolerance which they use normally, they must continue to use tolerance and try to be professional at all times,” Gonsalves said. He acknowledged that police have a difficult job, but “ I think at the beginning of this new year, I’d be less than honest if I didn’t say things to put matters in a balanced perspective”.